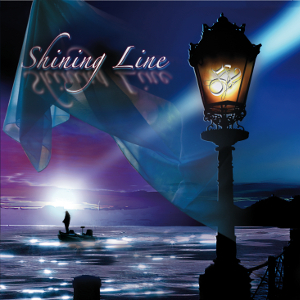 SHINING LINE is an Italian AOR all-star project created by the artistic partnership between fellow drummer/songwriter Pierpaolo "Zorro" Monti and bass-player Amos Monti. Their self-titled debut album was released in 2010 through Avenue Of Allies, and it was re-released on a brand new limited collectors' edition (printed in only 500 copies) with renewed cover artwork (made by Antonella Astori) through Street Symphonies Records on September 30th 2016. It contains the addition of one bonus track, not included in the original version. This edition was produced by Alessandro Del Vecchio (Revolution Saints, Hardline, Edge Of Forever) and mixed & mastered by Michael Voss (Casanova, Mad Max, Voices Of Rock) at his Kidroom Studios in Germany. As you can see from numerous guest artists below, this project is connecting intimate with Italian bands such as Charming Grace, Room Experience, and also with the AOR/Hard Rock scene in Italy.